One of my favorite places for afternoon tea in Taipei is at Smith & Hsu’s. Their tea selection is vast, with an eclectic sampling of both local and imported teas. They also have some of the best scones I’ve ever tasted in Taiwan. They have several branches in Taipei, and I usually go to the one in the Hankyu Department store, which is one of their smaller sized shops. Once you are seated, their super-friendly staff will present you with wooden tray of tiny glass bottles. Each tiny bottle is filled with a different type of tea leaf, and you can smell them all to choose the tea that you want to order. Since there are so many different types of teas, I try to keep track of the ones that I’ve tasted, or are my favorites, either by writing it down in my Midori Traveler’s Notebook, or by taking a photo. My recent favorites have been the green tea with strawberry and passionfruit guava mango. The type of tea you order determines the type of tea pot that you are presented with. If you order a fruit tea, then it’s usually served in a glass tea pot. If you order a leaf tea, such as the strawberry green tea, then it’s served in a ceramic pot. The saucer that came with this tea set is really worth a mention! It’s designed so that the teaspoon doesn’t slide around on the saucer, so after you take a sip of tea, you can put the teacup squarely back on the saucer without moving the spoon out of the way. This “sliding teaspoon on the saucer” was something that was a minor annoyance that I couldn’t quite put my finger on, until I read about it here in the New Yorker. But now that I’m aware, this design detail will be something that I will be looking for in all future teacup and saucer purchases! To accompany my tea, I also ordered two scones, and they come with clotted cream and lemon curd. I always chose the classic flavor, and one of their flavored options, one time I chose matcha (Japanese green tea) more recently, I chose their Earl Grey flavored one. I always tell people that the best scones in Taipei can be found here. 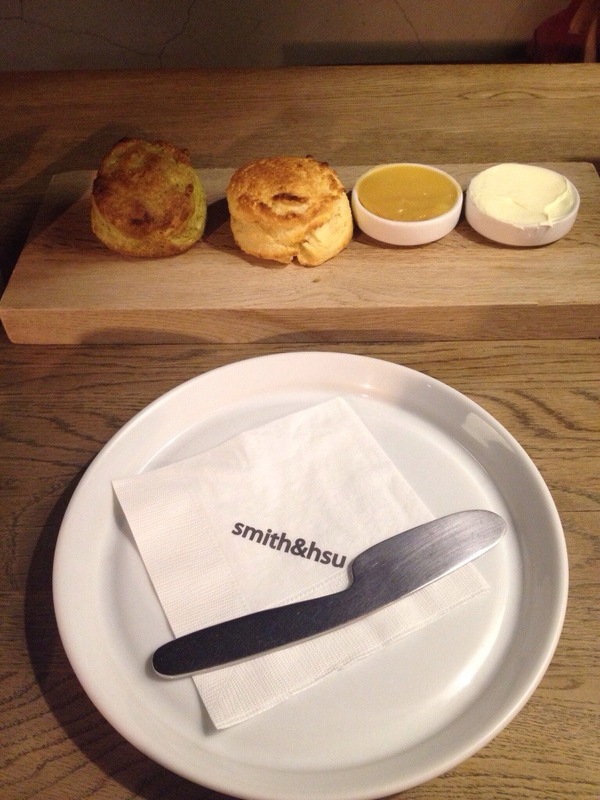 Smith & Hsu’s scones are perfectly buttery, dense, yet light and fluffy. Make sure to slather on the clotted cream and lemon curd~ it’s absolutely delicious! 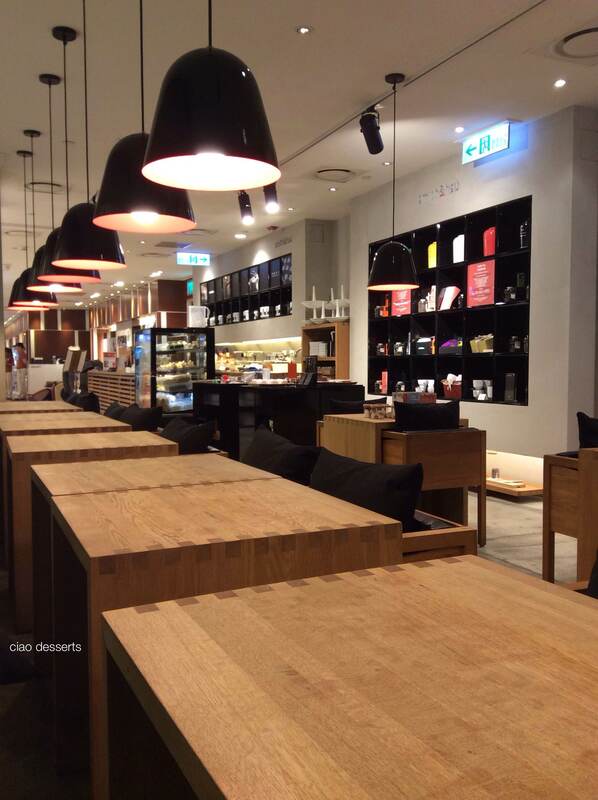 After you have your cup of tea, feel free to wander around the store and look at all their merchandise! In addition to having a wide selection of tea leaves for sale, Smith & Hsu also has a selection of different flavor infused honey and jams. They also have a selection of tea-related utensils, such as measuring spoons and scoops. The fat cute silver knife that is served alongside the scones, clotted cream and lemon curd is also available for sale. A good idea for a gift would be a box filled with the cute knife, a jar of lemon curd, and a box of tea. Or, you could also include a pot of honey. 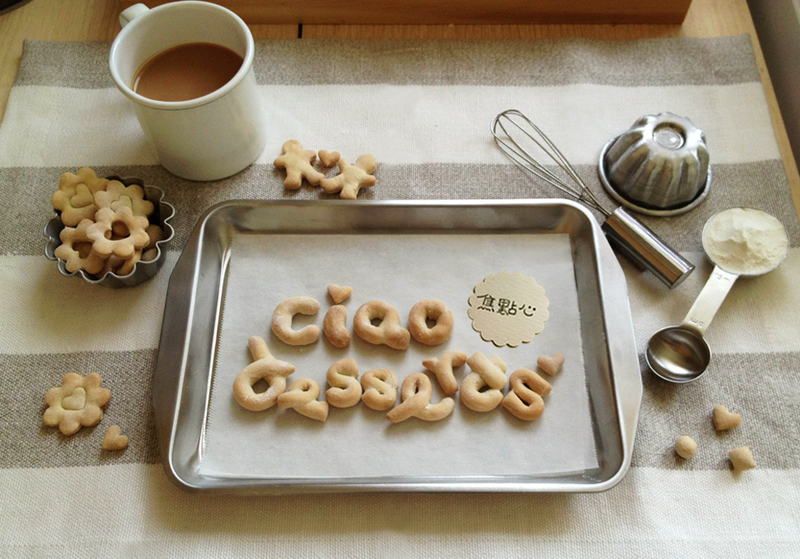 To make the gift really special, you can also bake some scones. Smith & Hsu’s is a wonderful spot for a grown up tea party. Outside of regular afternoon tea hours, it’s also the perfect location to treat yourself to a quiet pot of tea and a light snack. I have to admit some of my best thinking is done at Smith and Hsu’s! There is something very calming about a perfect cup of tea, served by attentive staff, in a warmly lit and tastefully decorated space. Smith & Hsu’s has several locations in Taipei, and you can find all there locations, in both English and Chinese here. Please note, this is not a sponsored post, I paid for all items consumed with my own money, and all opinions expressed are my own. This entry was posted in Uncategorized and tagged afternoon tea, clotted cream, curd, lemon curd, passionfruit curd, scones, Smith&Hsu, Taipei, tea. Bookmark the permalink. surprised to see all the tea bottles labelled in english. what if a customer doesn’t know how to read english? i’m assuming an employee could explain in chinese, but would he or she have to read off each bottle? i’m usually not a big fan of scones as they are too dry for me. i, however, absolutely love a warm biscuit with butter and strawberry jam. HI HT!!! 🙂 Wow, I didn’t even notice that they were only labelled in English. The menu listed the corresponding number and tea name in Chinese. Some of the Chinese names were pretty long, so my guess is that it was easier to just list the English name and number.